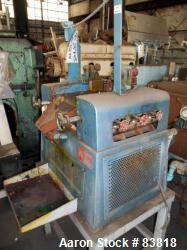 Used- Keith Machinery Horizontal Three Roll Mill, Model 4X8. (3) 4" Diameter x 8" wide cored rolls. Adjustable end guides, knife scraper with discharge pan. Driven by an approximate 1 hp motor. Serial# 95021B. 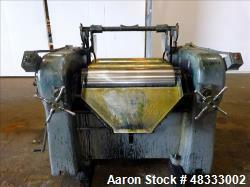 Used- Keith Machinery Horizontal Three Roll Mill, model 4X8. 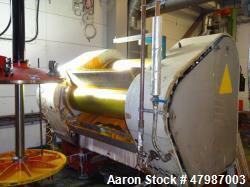 (3) 4" diameter x 8" wide cored rolls. Adjustable end guides, knife scraper with discharge pan. Driven by an approximate 1 hp motor. 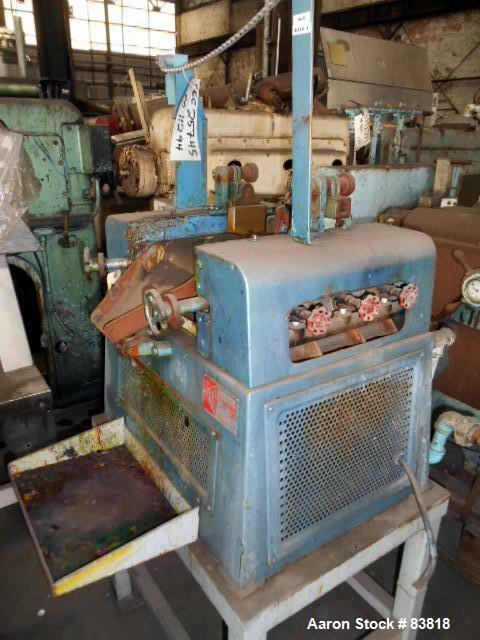 Used- Lehmann Machinery Horizontal Three Roll Dispersion Mill, Model 2A. Used- J.H. 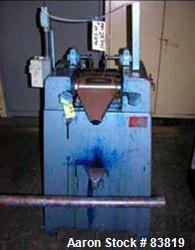 Day, Horizontal Three Roll Dispersion Mill. 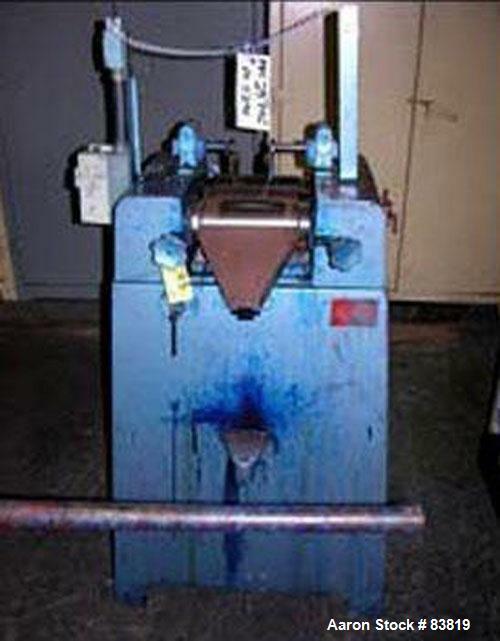 Used- Lehmann Machinery Horizontal Three Roll Dispersion Mill, Model 2A. (3) 13" Diameter x 32" wide carbon steel cored rolls. 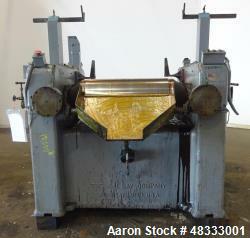 (2) Adjustable bronze edge guides, knife scrapper with discharge pan, bottom drip pan. Manual roll adjustment. Approximate apron speed 350 rpm. Driven by a 20 hp, 3/60/220 volt, 1140 rpm motor. Mounted on a carbon steel frame. Serial# 1889. Built 1990. No safety's. 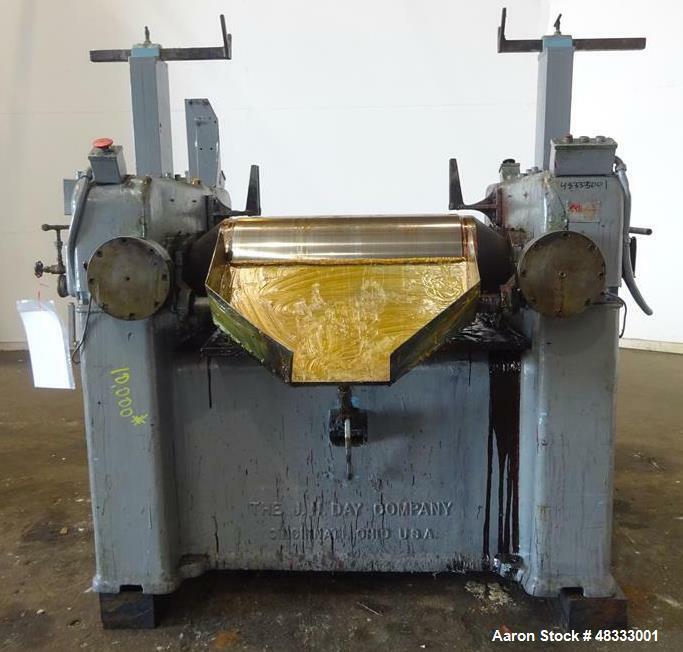 Used-Buhler 16"x51" (400mm x 1300mm) Electronically Controlled Large Production Three Roll Mill (TRM), Model SDVE1300, S/N 10302073. 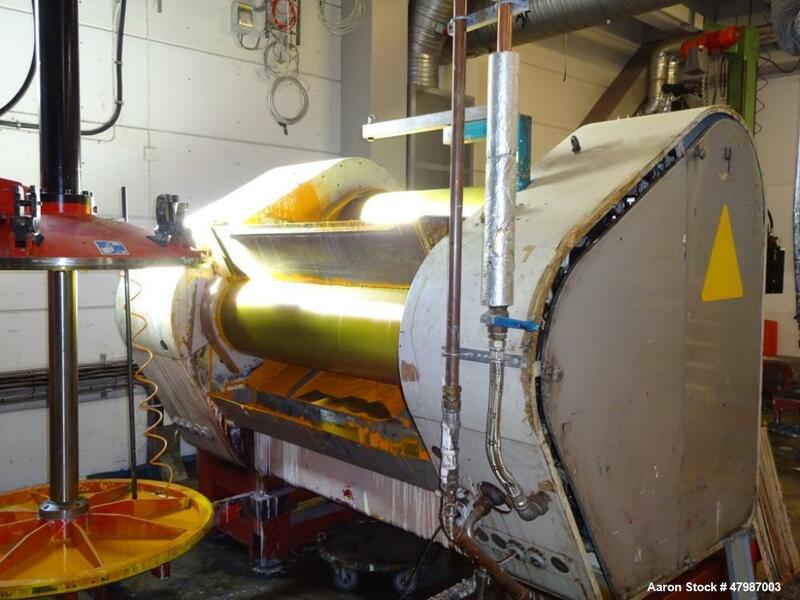 With a SDVE, "production parameters (roll pressures, apron knife pressure, and roll temperatures) are pre-selected and maintained throughout the entire period of operation by means of electronic controllers, without any operator intervention". This TRM has electro-hydraulic roll set, electro-hydraulic apron set, automatic roll temperature control, and product level sensing. The rolls are driven by a 75 KW two speed motor. Electrics are 3/50/380V, and this TRM is complete with an electrical box that includes a Siemens PLC. This TRM was in operation in Sweden, when it was removed from service in 2016. 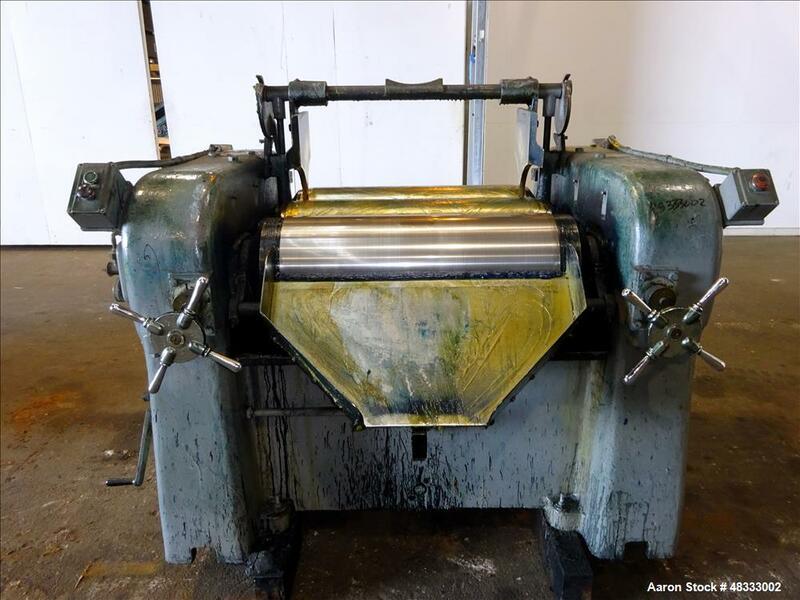 Used- Buhler 16"x51" (400mm x 1300mm) Electronically Controlled Large Production Three Roll Mill (TRM), Model SDVE1300, S/N 10197825. With a SDVE, "production parameters (roll pressures, apron knife pressure, and roll temperatures) are pre-selected and maintained throughout the entire period of operation by means of electronic controllers, without any operator intervention". This TRM has electro-hydraulic roll set, electro-hydraulic apron set, automatic roll temperature control, and product level sensing. The rolls are driven by a 55 KW two speed motor. Electrics are 3/50/380V, and this TRM is complete with an electrical box that includes a Siemens PLC. This TRM was in operation in Sweden, when it was removed from service in 2016.